It’s a real pain trying to get data out of the SQL Error Logs I’ve noticed. You either don’t cycle your files very often and end up with stupid amounts of data in there to sift through or you cycle them frequently and then you end up having to try and figure out which of the files is related to the data you want. You could use T-SQL to import all the files and grab stuff, alternatively you can use PowerShell to get information. I wanted to take this process a step further so I created a PowerShell script that will accept servername, start and end date/time parameters and return to you, the kind reader, all the entries in the logs between those times (and just between those times). This is great for when someone asks you to give them information from the log for 3-7 days ago. One quick execution of the script and the data is sitting there in PowerShell grid format, ready to go. Even better, using the grid you can filter the information further and quickly copy/paste it to excel or some other program. This requires the PowerShell SQL snappins that come with 2008/R2 but can query versions 2000 and up. Next steps are to add filtering and options to output to file. I’m sure I’ll get to that eventually. ./Get-SQLErrorLogs -SQLInstance MyInstance -MinDate 2012-05-10 -MaxDate "2012-05-15 09:00"
$Results = New-Object system.Data.DataTable "Results"
$ReadLogs = New-Object system.Data.DataTable "ReadLogs"
Write-Output "Checking error logs on server $SQLInstance for logs created between $CheckDateMin & $CheckDateMax"
Write-Output "Checking through $LogCount logs, please wait." Write-Output "Currently reading error log $CurrentLogName dated $CurrentLog..."
Write-Output "Currently reading error log $LogToRead..."
Write-Output "Currently reading error log 0..."
I was messing around with PowerShell the other day and using it to read SQL Server error logs. It’s actually a pretty trivial thing. Yup, the method exists just fine. I couldn’t figure out what was going on. 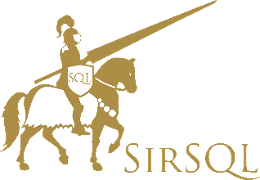 I enlisted the help of Sean McCown (blog|twitter) who posted a short training video on how to read the error logs on named instances of SQL Server.